Cross-connection control and backflow prevention remains a work in progress. The mission started more than 100 years ago to protect public water systems and potable water supplies. But to understand where they're heading, it’s good to look back at the history of cross connections and backflow. Most commercial and industrial properties have three separate water taps: domestic, fire protection, and landscape irrigation. Each line within a single property may or may not be fitted with a containment backflow prevention assembly. These are distinct applications, often with different hazard profiles and performance criteria for each. They’re frequently designed by different engineers, installed by different contractors, regulated by different codes and maintained by different groups. 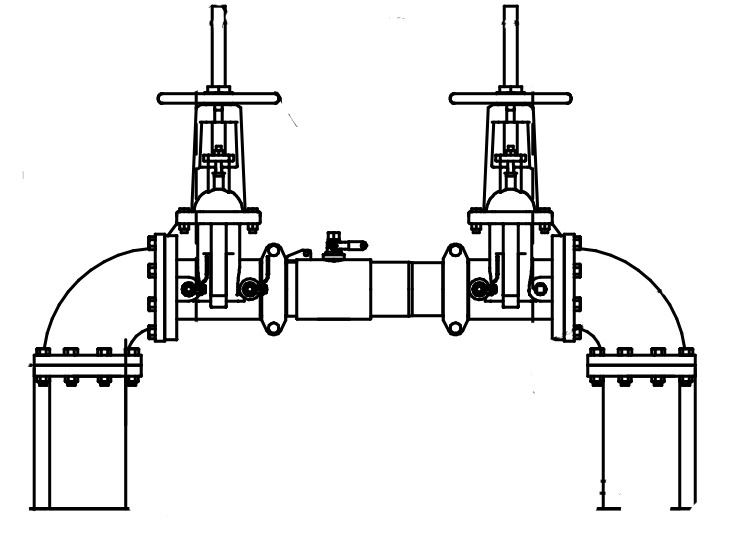 However, it is uniformly accepted and enforced that all possibilities of cross connection must be eliminated with the use of a backflow preventer device. 1906 - The American Society of Sanitary Engineering is founded. Their motto is "Prevention rather than Cure" and the ASSE states their mission is "to continually improve the performance, reliability and safety of plumbing systems." They have almost 50 plumbing equipment standards and specialize in backflow preventers and temperature actuated mixing valves. 1930 - The first pressure vacuum breakers and early backflow preventers begin to be developed mostly in Los Angeles. Watch the video below for a breakdown of backflow and why we need a cross connection control. 1933 - An epidemic of Amoebic Dysentery broke out during the "World's Fair" in Chicago, IL. The records show that 98 people died while 1,409 others were very sick and sought medical attention. There were likely significantly more affected that went home and so were not counted. The cause was found to be "...old and generally defective plumbing and cross-connections potentially permitting backsiphonage from fixtures such as bathtubs and toilets..." The need for cross connection control became much more apparent with this catastrophe. 1944 - USC's Foundation for Cross Connection Control and Hydraulic Research (USC FCCCHR) is founded. When a supply ship was found to have harbor water in its potable water tanks because of a cross connection between the tank and the sea, a group decided to act. They urged the University of Southern California to research the problem. Soon after, the FCCCHR was created. Since then, they have developed specifications and standards for backflow preventer assemblies. 1945 - The first edition of the Uniform Plumbing Code is adopted by the International Association of Plumbing and Mechanical Officials. This code is one of the most widely used guides for backflow preventer installation. The newest version was published in 2015. 1956 - The first edition of the Standard Plumbing Code is created. It will eventually become the International Plumbing Code. This code was most recently updated in 2015 and has been adopted in 35 states and Washington DC either state-wide or at a local level. around for nearly 20 years, but the DC as we know it was invented in the 50's. 1973 - The Environmental Protection Agency released their first Cross Connection Control Manual in anticipation of the soon to be enacted Safe Drinking Water Act. This manual was last updated in 2003 and provides broad suggestions with very little local guidance on backflow preventer installation. 1974 - The Safe Drinking Water Act is signed into law by President Gerald Ford. Initially proposed by then President Nixon, the act gives the EPA oversight of of the nation's drinking water. This allowed the EPA to create federal regulations related to backflow with their Cross Connection Control Manual. The SDW Act did not, however, mention CCC or backflow preventers explicitely. Instead, the EPA produces guidelines which the individual states enforce. The states then manage the individual water purveyors, and those individual municipalities or businesses must also conform to the guidelines. 1976 - The American Water Works Association forms in its current state. The association has been around since 1881, however the group's membership and purpose changed drastically in 1976 and they have continued to strive to create "a better world through better water" ever since. Currently, most water utilities look to the AWWA for guidance on backflow installation. 1980 - ASSE standard 1013 for RPZ backflow preventers is created. It was last updated in 2011. Valve manufacturers make sure the majority of their products, especially the most commonly used, comply with this standard. There are many more ASSE standards regarding backflow preventers. There are a number of other associations which release similar standards such as the USC FCCCHR. 2016 - Throughout the last century, the safety of our potable water systems has drastically improved. It started with the invention of reduced pressure zone devices. The design standards of the ASSE also helped. And the research performed by the USC FCCHR along with all the other achievements have brought the country to a much higher level of safety. They are only parts of the large cross connection machine though. The convoluted structure of regulations still allows for slip-ups and outbreaks of contaminated water. Clean drinking water depends on each water jurisdiction to adopt and enforce the laws, requirements, and codes. More and more cross connection control programs are being developed. And more people are making a push for annual testing or other ways to protect water supplies and irrigation systems. Now, we need to take the next step. You should have your backflow prevention assembly installed inside an above-ground enclosure. It’s the safest and most cost-effective place to put it. Learn more in our guide "Trends in Backflow Preventer Valve Specification and Location." This valuable resource is designed to help engineers and designers with an up-to-date installation process.